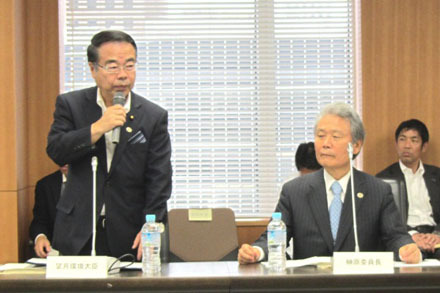 A symposium on the stable supply of bio-resources and compliance of the international rules was held. 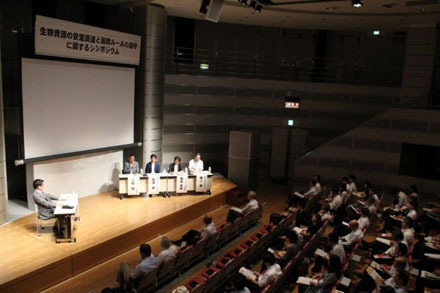 At the event, the advanced efforts by the enterprises and the international trends were explained, followed by a panel discussion on the challenges regarding the supply of bio-resources in the future. 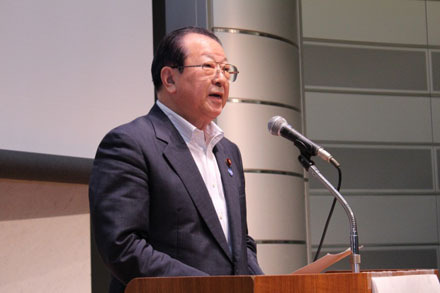 Mr. Shigeo Kitamura, the State Minister of the Environment, participated in the symposium and delivered the opening remarks. 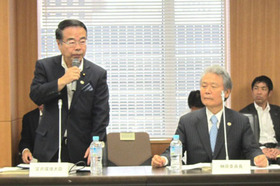 State Minister Kitamura giving the opening remarks. Five panelists discussing the challenges in the future. 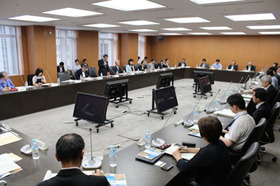 The committee decided to draw up a midterm assessment of its activities and to build a roadmap for the next five years. Also, the members of the committee and the representatives of the sectors concerned made a proposal for setting the numerical targets and exchanged views to improve their activities in the next five years.